IdeaGist platform features: a full list of features and benefits that IdeaGist offers to different types of communities. 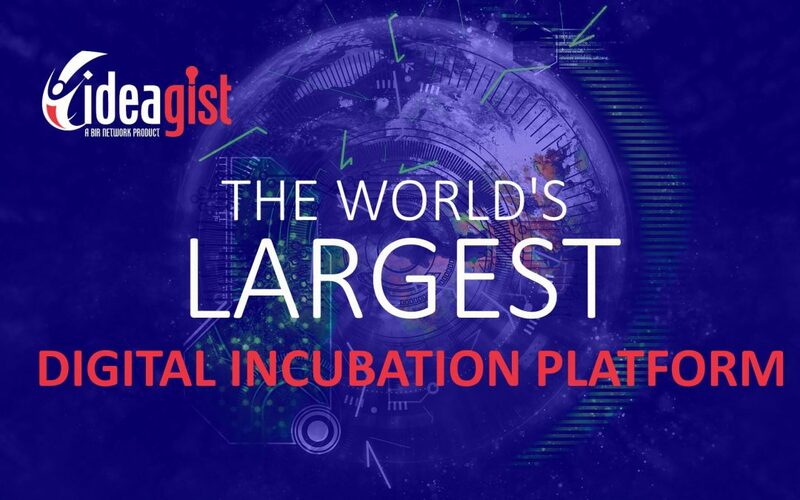 IdeaGist is the largest digital incubation and innovation community platform that actually focuses on the whole entrepreneurial and innovation ecosystem, offering benefits to all important ecosystem partners. Here you will find a full list of features and benefits that IdeaGist offers to different types of communities. Invention and Technology Showcase: For organizations in research and development, it is essential to engage industry and entrepreneurs in commercializing research. A digital showcase allows an institution or a network of institutions to provide details of technology and research available for commercializations. Ideas can be collected around each invention on its applications. Idea Generation and Virtual Incubation: IdeaGist offers a range of features around idea generation, problem-solving, and idea incubation. IdeaGist also offers an add-on, 60-step incubation process to help early-stage entrepreneurs develop their ideas from concept to launch. Community Branding: Add your own logo and other homepage elements that represent your brand. IdeaGist offers white label options, including a custom domain URL. User Access Control allows a community owner or administrator to control who can join their community. It also allows them to remove people who do not abide by community policies. Analytics Dashboard and Data Export: Community administrators have data-rich dashboards that offer insights into their community activity. They can easily export key data in Excel for use in other applications. IdeaGist can customize administrative dashboards based on a community’s needs. Ecosystem Directory: IdeaGist offers a powerful ecosystem directory that can be individually maintained by each ecosystem partner without the need for central data entry. Every ecosystem partner can add and update their data using a standardized format and build a map of their ecosystem over time. Data Collection: IdeaGist’s simple-to-manage interface allows community administrators to describe data reporting protocols and manage data collection from startup, Mentors, entrepreneurs, service providers, and other ecosystem partners can report data at a frequency that works for each group. IdeaGist provides email automation to ensure that people receive reminders to provide data that helps keep track of partners who fall behind. Event Management: IdeaGist offers a simple event management module that helps users create events, manage invitations, track RSVPs, and collect registration fees. Every event remains accessible, even after they’ve happened, helping administrators maintain presentations, video clips, pictures, and other files organized and in one place. Access to event materials can either be limited to people who attended the event or open to all community members. Mentors Management: IdeaGist offers a global pool of mentors who can advise and guide entrepreneurs, as well mentors in a community. Mentor management helps guide young and first-time entrepreneurs navigate each step of their journey. Communities can decide and control who can be a mentor, manage their application, manage mentoring requests, assign mentors, view their progress, and receive reports on their contributions. Rewards-Based Crowdfunding – IdeaGist provides a rewards-based crowdfunding portal that can be used by community members with administrative approval to run a crowdfunding campaign. Opportunities Classified: A vibrant entrepreneurial ecosystem offers opportunities to community members and helps providers and consumers connect with each other. IdeaGist also offers a self-serve marketplace for co-founder investments, consulting, mentoring, jobs, and feedback opportunities for everyone in the community. Resources Directory and Special Offers: Using our global resources directory as a starting point, IdeaGist communities can create a directory of local resources and add special offers available to community members. The IdeaGist system comes pre-loaded with hundreds of free resources and offers that can save community members thousands of dollars. Sponsorships and Featured Content: Each community can host sponsors, and individuals can post feature content on the community website sidebar for community members to view when they browse content. Idea Voting: Every community on IdeaGist comes equipped with a simple voting system that allows community administrators to define voting rounds, assign votes, and monitor voting round progress. Global Connectivity: Out-of-the-box, IdeaGist offers global connectivity among hundreds of communities worldwide. Your members can have access to our global pool of mentors, investors, entrepreneurs, and service providers. Blogs: IdeaGist provides administrators with a simple blogging tool for creating and publishing interesting content for their members. IdeaGist also provides a content aggregation feature that can offer free content from hundreds of communities worldwide. While IdeaGist is a feature-rich platform, not all features are used in every community. Depending on their purpose, some communities may require only a subset of features to keep things simpler for their members. IdeaGist is designed to create these simplified experiences and even offers a few templates right out of the box. A few use cases and related templates are also available to choose from to launch your community effortlessly. Entrepreneurs Network – People interested in innovation and entrepreneurship and would like to work together to support a community of entrepreneurs that are focused on a topic, technology, region or mission. Funding Network – Share active deals with a network of investors, either for investing in promising ideas. Digital Bridge – A connector between two or more communities, either adjacent to each other physically or on the other side of the globe. Accelerator/Incubator: A simple template for any accelerator or incubator is provided to facilitate launching an online community, manage the application process, manage and assign mentors, manage mentorship requests, and receive progress reports. Idea Sharing: A simple community designed to generate and share ideas within a community. The community could be focused on a specific problem or it could generate ideas on a specific subject matter. Incubator in a Box: A combination of our incubator template and resource kit that contains all the necessary process documents to start your own virtual incubator at minimum cost. IdeaGist also offers managed incubator services in which we administer incubator operations at a fixed, per startup incubator price. Portfolio Showcase: For members who have intellectual property for commercialization purposes and would like to engage a large number of people to brainstorm commercialization ideas, Portfolio Showcase is a good template to start with. Users need to import their portfolio initially and authorized members can view the portfolio, consider and concoct ideas, make licensing offers, and even use the virtual incubator module to help them execute an idea. Ecosystem Directory: A simple template for organizations focused on one ecosystem to create a directory of resources and make it available online. The directory could be community-generated, internally developed, or a combination. Club: This template allows people to apply for free memberships as well as memberships that require a fee. Once an individual has joined the community, he or she can create classified ads for services they need and interact with other community members. Meetup: This template is designed to allow meetup organizers to manage their rendezvous’ and create a vibrant, meetup-centric community. IdeaGist Learning – Massive Open Online Course helping a large number of people in going through the program and keeping track of them. 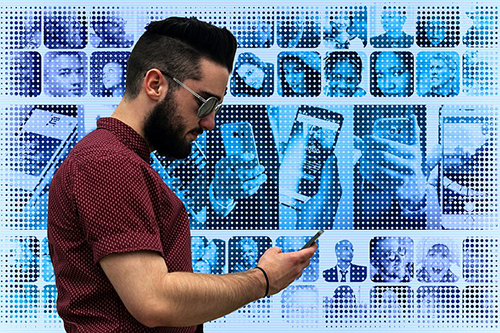 Virtual Bridge – Using technology to connect people is nothing new. IdeaGist implements this concept by creating a virtual bridge between two communities. This template allows advisors, mentors, investors and service providers from one community to help young and inexperienced entrepreneurs from another community by tapping into each other’s strengths. Single Sign-on: Sign in with your IdeaGist ID and access any community of which you are a member. Universal Profile: There is only one profile that you will need to make maintain your profile. All changes you make become visible in all of your subscribed communities. Public Profile URL: Every global passport holder on the IdeaGist platform has a unique public profile URL that can be used online, on social media, and can serve as your global profile. Idea Ownership – Your ideas are your ownership. You can decide who has access to any of your ideas, manage an unlimited number of ideas, move ideas from one community to another, work in stealth mode or share your ideas with the world, and recruit your team members. Global Opportunities – Learn, grow,.co-found, mentor, invest and collaborate with a global community. Your opportunities are unlimited. Step-by-step process – Use our three stage and sixty steps process, following lean practices, focusing on launching a minimum viable product. Every step in the process is an action, focusing on what needs to be done when it needs to be done, and how you would perform the action. Team Manager – Invite and manage team members, grant access as an observer or contributor. Non-Disclosure Agreements – Manage NDAs for every team member invite, use a built-in template or provide your own contract. Tools and Templates – At every step of the process, access tools and templates to perform the action. Mentor Requests – Send requests to the community administrator to assign a mentor. Mentor Private Chat Line – Ask questions from your mentors and have a secure chat line. Team Chat Line – Share ideas and discuss topics using a shared chat line for team members. Expert Session – Request expert advice by scheduling a session, either using experts in your own community or tapping into our global network. Document Tracker – Attach documents at different steps for team members to easily access them. You can store documents on your own secure drive and manage access through your corporate access control lists. Auto Reminders – Get reminded of when a task is near due date and when it is past due. Progress Dashboard – See overall progress on an idea using a simple progress dashboard. Document Outcomes – For every step record outcomes and lessons learned for future team members. Co-Founder Wanted – Advertise when you need a co-founder or a team member for your idea. Mentor Wanted – Community driven approach to find mentors and recruit them to help you with your idea. Investment Needed – Announce the need for investment or a sponsor for your idea. Feedback Needed – Get feedback on problem statements, customer pitch, and investor pitch. Idea Public and Private Comments – Leave feedback for the idea owner or discuss things within the idea team. Reward Points – Earn points for activities that support community and pay in points for platform services.